The International Data Corporation (IDC) has published the first in a series of industry and technology-specific predictions of information and telecommunications technology industry (ICT) for the coming year. IDC predictions for 2014 are strongly influenced by the third platform as the next platform in the industry for growth and innovation on the basis of technological pillars of mobile computing, cloud services, big data and analytics, and social networks. The first phenomenon to watch is the Advanced Emerging Markets. The global IT spending will increase in 2014 compared to last year by five percent to $2.1 trillion. The outputs are driven by the technologies of the third platform. Not only that, for the first time more than 60% of the growth in IT spending worldwide will be in developing countries. In addition, in 2014 the number of intelligent devices connected to the Internet will be shipped in emerging markets will nearly double those for developed markets. IT spending worldwide will grow by 5% compared to 2013, but will be driven by mobile technology. Smartphones and tablets represent more than 60% of the total growth, global turnover of PCs will fall by 6%. The possibility raised by Samsung Android Community will hold at the numbers its lead over Apple. Apple, however, will retain its advantage in value with higher average selling prices and an established app ecosystem. The emerging markets will return with an increase of ten percent to double-digit growth. This corresponds to a turnover of nearly $730 billion or 35 percent of global IT sales. Driven by the economic recovery in China and in the BRIC countries, IT spending will increase by 13 percent year over year. In dollar terms, the growth of IT spending in China will catch up in the U.S. Within the third platform, the value added along the technology stack starts to move upwards – from infrastructure-as-a-Service (IaaS), to platform-as-a-Service (PaaS) and from the generic PaaS towards data-optimized PaaS. The latter is especially visible when Amazon Web Services launch a series of platform-as-a-service offerings for developers and premium services for companies on the market. Google will also throw its glove in the ring. Google will realize that it is in danger of being displaced by a market in which the company should actually vying for the lead role. Spending on cloud including cloud services and the necessary technology for their deployment in 2014 to grow by 25 percent and leave the mark of $100 billion. IDC expects the number of data centers to increase sharply as the cloud providers strive to achieve global size. It will be added by a similar increase in the variety of workload specialized infrastructure services from the cloud. This leads to new forms of differentiation between the cloud service providers. There will also be an open battle for developers who can create the cloud-based applications and solutions that drive market growth. Spending on technology and services in the area of ​​Big Data in 2014 to increase by 30 percent to over $14 billion. The demand for knowledge in big data analysis will continue to outstrip supply. The race for the development of Big Data optimized cloud platforms begins that can process large volumes of data and / or real-time data streams. The technologies of social networks are increasingly integrated within the next twelve to 18 months in the existing enterprise applications. They are not only an important component in almost all customer loyalty and marketing strategies. Data from social applications will also be incorporated into the processes of product and service development. IDC expects social networks for enterprises will be increasingly available as standard offers from the cloud service provider. Companies can better integrate as the social components in the processes, rather than to provide them in a separate layer. The physical basis of the cloud data centers make them an indispensable element of the third platform. With the increasing number and importance of cloud-specific data centers drive the cloud provider market for servers, storage and network components. The established hardware vendors that are hard to do in this market, will be forced to implement a Cloud First strategy. The Internet of Things will grow exponentially in 2014, thanks to the subscription of new industrial partnerships that will bring the traditional IT vendors to ally with providers of telecommunications and semiconductor companies to create integrated offerings in the consumer electronics industry. By 2020, this will create a business turnover of $8.9 trillion. Lastly, applications and services will give industry leaders a decisive competitive advantage. 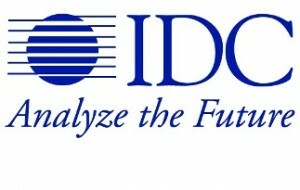 IDC expects that most market participants do not re-invent the necessary cloud bases for this industry platforms. Instead, they are put on the platforms of Amazon, Microsoft, IBM, Salesforce and others.